"From little things come big things," Gail Halvorsen remembered his father saying. As a twenty-seven-year-old American pilot, Brother Halvorsen's job was to airdrop much-needed food and supplies to the people of West Berlin in the aftermath of World War II. But it was his simple gift of two sticks of gum that launched an extraordinary humanitarian endeavor and earned him the nickname "The Candy Bomber." Each day as hundreds of small white parachutes delivered treats to the children of West Germany, the wounds of war began to heal. "Operation Little Vittles" captured the imagination of people everywhere, bringing the spirit of Christmas to a world in need of peace and hope. Famed broadcast journalist and author Tom Brokaw brings this remarkable true story to life in a stunning live performance with the Mormon Tabernacle Choir, captured on the accompanying DVD. Also included in the book is a template and directions for creating your own "Candy Bomber" parachutes. Review: Last night as our family gathered to talk about the things we are thankful for we read Christmas From Heaven out loud. It’s the trued story of “Hal” a WWII veteran, better known as the “candy bomber” who felt inspired to share all that he had with the children behind barbed wire fences…two sticks of gum. From this small thing, came big things. The idea to rain candy down form heaven in tiny parachutes made form hankerchiefs. His friends donated their candy and chocolate rations, he promised the children he would return and “wiggle his wings” as a symbol that his plane was ready to drop treats. Before long word got out, the press ate up the story and Hal’s general approved. 18 tones were shipped plus three more tons donated from private donors to the vittle delivery soldiers who dropped the treats to villagers below. My children were all fascinated by this idea and for once they paid attention both to what we were reading and to the deeper message. Be gratetful for your freedom, give all that you have, no matter how small. They each wanted a turn looking at the photos of the actual children, the letters written and drawn in crayon and the beautiful illustrations. 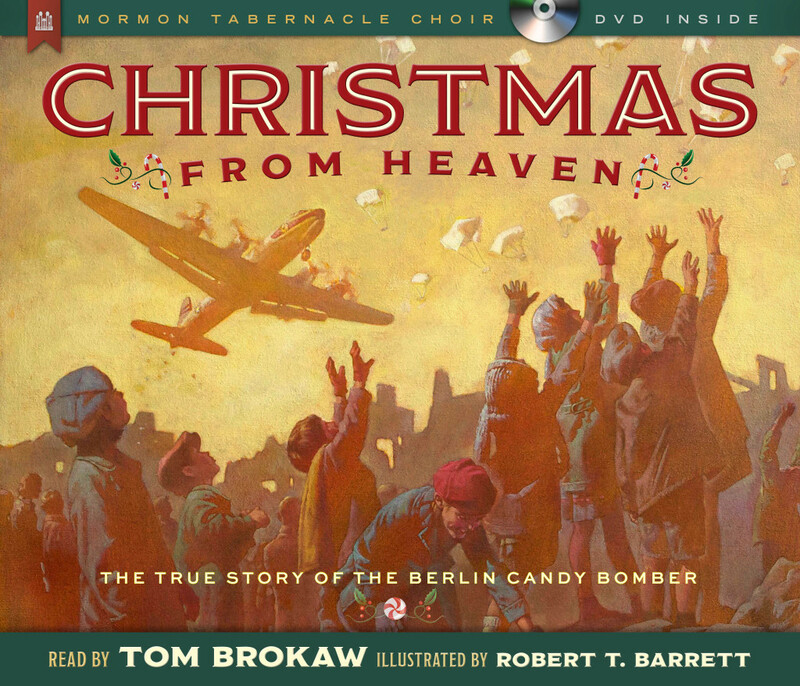 The book comes with a DVD which is a portion of the Mormon Tabernacle Choir’s Christmas concert and Tom Brokaw reading aloud from Christmas from Heaven. Mom, he is reading it word for word my 9 year old cried as he grabbed the book to follow along and read in his own voice. What a wonderful gift Christmas From Heaven:The True Story of the Berlin Candybomber was for my own family, and what a wonderful feeling it brought into our home. It literally made our day. Thanks so much to Shadow Mountain for once again teaching us through media the true spirit of the season. Thomas John Brokaw is an American television journalist and author, previously working on regularly scheduled news documentaries for the NBC television network, and is the former NBC News anchorman and managing editor of the program NBC Nightly News with Tom Brokaw. His last broadcast as anchorman was on December 1, 2004, succeeded by Brian Williams in a carefully planned transition. In the later part of Tom Brokaw’s tenure, NBC Nightly News became the most watched cable or broadcast news program in the United States. Brokaw also hosted, wrote, and moderated special programs on a wide range of topics. Throughout his career, he has been the recipient of numerous awards and honors. 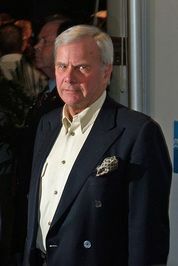 Brokaw serves on the Howard University School of Communications Board of Visitors and on the boards of trustees of the University of South Dakota, the Norton Simon Museum, the American Museum of Natural History and the International Rescue Committee. As well as his television journalism, he has written for periodicals and has authored books. He still works at NBC as a Special Correspondent. Home is where good things happen–and for the Romney family, the heart of the home is the kitchen. In The Romney Family Table, Ann Romney, wife of former Massachusetts governor and presidential candidate Mitt Romney, reflects on her many years as a mom, shares family recipes, and describes some of her favorite and not-so-favorite moments of raising a family. Woven together with personal memories and traditions are Romney family favorite recipes such as Peppered Pork Chops with Peach-Vinegar Glaze, Welsh Skillet Cakes, Honey Wheat Bread (which Ann made regularly for five growing sons), and Mimi’s Buttermilk Pancakes, which she and Mitt shared with their Secret Service detail at the end of his presidential campaign. This unique blend of heartwarming and humorous stories told in Ann’s warm, welcoming style, candid family photos spanning four decades, and more than 125 fabulous recipes will inspire your own traditions and family dinners for years to come. Review: What a gorgeous cookbook! I admit, that as a mother of five I am constantly on the look out for easy to prepare meals. I appreciate recipes that don’t have a lot of ingredients and aren’t over the top. Ann Romney seems to understand that! Her suggestions are simple yet yummy Mango Salad, monkey bread and cheesy noodles among some of the mouth watering creations. Not only are there recipes, there are pages full of heritage, tradition, family photos and tender moments. I may have become a little jealous hearing of their Michigan summers at a beach cottage and the fun Fourth of July’s. But I know how hard she and husband Mitt worked to grow a family of all boys in the midst of a political career! This cookbook is so much more than just recipes, it is a glimpse into the Romney household. My own mother used to receive Christmas cared form the Romney as a thank you for her long hours put in for their campaign. While I’ve never met the Romney’s she and my grandmother cherish their photos with them. And, now that my mom has passed, we cherish them too, as a memory of what my mother loved and stood for. 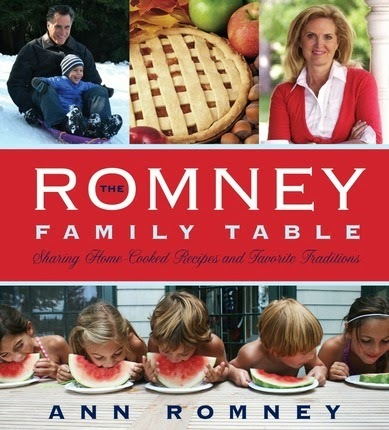 Heartily recommend The Romney Family Table to gourmet chefs and ordinary moms like me. 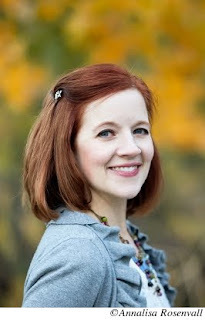 Thanks to Deseret Book and publisher Shadow Mountain for inviting us to be a part of the blog tour. FTC Disclosure: I was offered a free book in return for this honest and non-biased review. 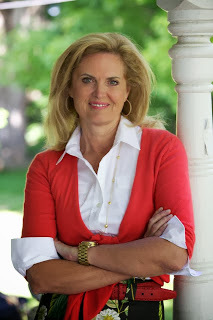 About the Author: Ann Romney places primary importance on her role as a wife, a mother, and a grandmother. As First Lady of Massachusetts, she worked to focus attention on the challenges facing at-risk youth and served as the Governor’s Liaison to the White House Office of Faith-Based and Community Initiatives. Diagnosed with multiple sclerosis in 1998, she has volunteered much of her time to raise awareness of the disease. She and her husband, Mitt, celebrated their 44th wedding anniversary this year. They have five sons, five daughters-in-law, and twenty-two grandchildren. 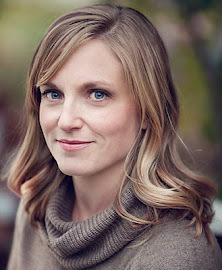 “I always try to draw inspiration from everyday occurrences and real life experiences. 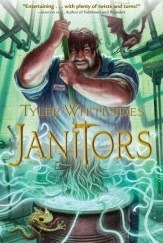 The idea to write a series about janitors came when I worked part time to clean a middle school. I had a few friends that worked the night shift with me, and I’m sure we were much more effective cleaning alone than we were on those mischievous nights that we went to work together. Perhaps the following story will show you what I mean. It was a late night, easily past midnight, when we got to the school to start cleaning. The task of emptying 300-plus trash cans was exhausting before we even began. About an hour into the work, it became clear that we needed a little something to energize us. Two of us let ourselves into the front office and used the school intercom to call our other friend who was sweeping in the gym. By the time he arrived, we had discovered a CD player next to the intercom. There was already a CD in the device and all we had to do was press play, and turn on the intercom. Pleased with our discovery, we went back to work, now enjoying a variety of songs playing in every classroom via the intercom. It was nearing two o’clock in the morning, and we were about three songs into the mix, when our boss arrived abruptly, pajama-clad, in the middle of the hallway. We waved and asked him what he was doing at the school so late. But he didn’t look too happy. He raced past us and turned off the music and intercom as quickly as he could. He shared a few choice words with us and trudged off down the hallway. You see, apparently the school was equipped with several sets of speakers OUTSIDE the building. And while we had been enjoying “The Entertainer” at work, the neighbors in their beds… not so much. And don’t miss Book three of his series, which is hot off the press! 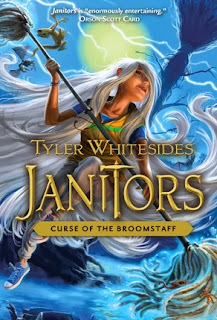 About the Author: Tyler Whitesides worked as a janitor at an elementary school to put himself through college. 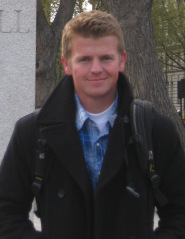 He graduated from Utah State University with a degree in music. 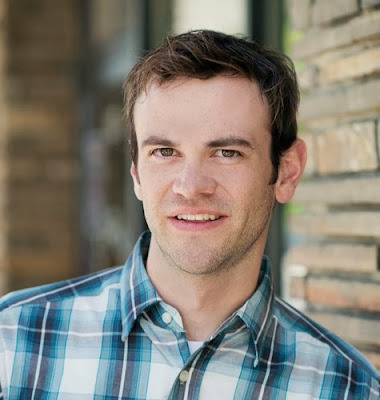 In addition to writing novels, Tyler is an avid composer and arranger of instrumental music. 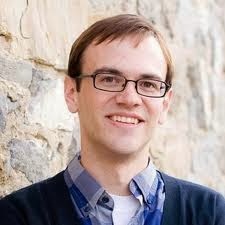 He and his wife, Connie, who teaches third grade, live in northern Utah. Fire and Ice is happy to be today’s stop on the official Shadow Mountain blog tour for Curse of the Broomstaff by Tyler Whitesides, book three in the Janitor’s series. For a limited time, all of Tyler’s ebooks are on sale! No one takes Spencer Zumbro seriously when he tried to warn his classmates about the mysterious things prowling the halls and classrooms of Welcher Elementary School. But when he sees Marv, the janitor, going after one of the creatures with a vacuum, he knows he’s not the only one who can see them. With the help of his new friends, Daisy, Spencer has to find out what the janitors know. The children’s search uncovers the magic taking place behind the scenes of their seemingly ordinary school, where a battle is being waged for the minds of the students. Who can be trusted – and can Spencer and Daisy protect their school and possibly the world? No one takes Spencer Zumbro seriously when he tries to warn his classmates about the mysterious things prowling the halls and classrooms of Welcher Elementary School. But when he sees Marv, the janitor, going after one of the creatures with a vacuum, he knows he’s not the only one who can see them. 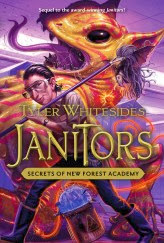 With the help of his new friend, Daisy, Spencer has to find out what the janitors know. The children’s search uncovers the magic taking place behind the scenes of their seemingly ordinary school, where a battle is being waged for the minds of the students. Who can be trusted – and can Spencer and Daisy protect their school and possibly the world? Book Summary from Goodreads: Will Lewis is stuck. the class system in England in the 1840s seems destined to keep him in his place as a poor tenant farmer who cannot improve his lot and will never be able to marry the woman he loves. But the “new religion” that is sweeping through congregations of the United Brethren, Will’s church, may hold the key to the better life he longs for. As he listens to the preaching of Wilford Woodruff, he almost dares to hope for the Zion the young Apostle describes. 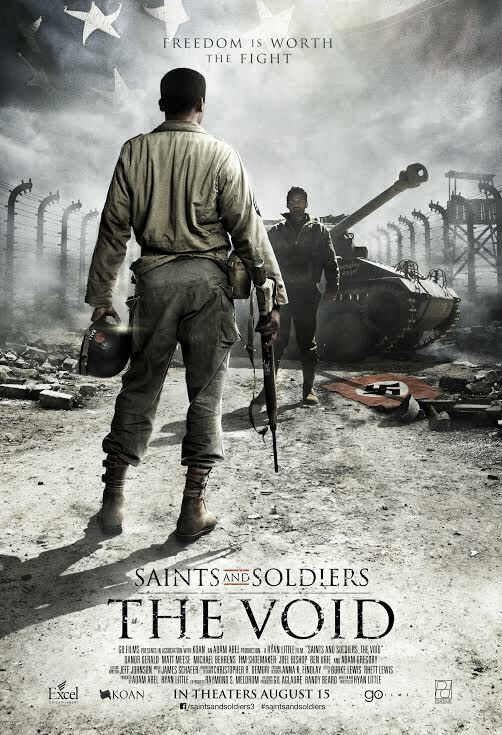 Will’s struggles to believe and to face the rigors of immigrating to an unknown land are paralleled by the modern-day story of Jeff and Abby, a young married couple facing challenges of their own. When Jeff begins digging into his family history, he finds himself particularly drawn to “Grandpa Lewis,” an ancestor whose life was more like his than he would have imagined. The skillful interweaving of these two stories brings Church history to life while demonstrating how much we can learn from those who went before us. Anyone who has ever faced the winds and the waves, in some form, will love this novel. 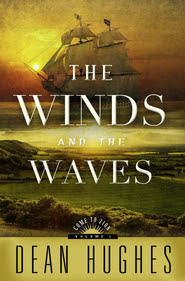 Review: This is the first Dean Hughes novel I have ever picked up and what drew me in were the historical elements and rich authentic detail of his writing. Mr. Hughes has researched out the setting, speech, and every day way of life of his characters. In this case, story of Will, an Englishman living with his family as a tenant under the rule of a squire. 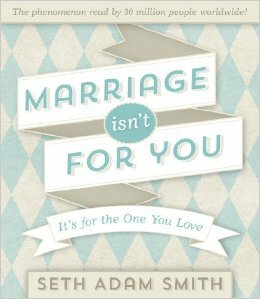 He is wary of the religious fervor of the United Brethren and feels stuck in his place, without opportunity to improve on his circumstances to win the heart of Liz, the solicitor’s daughter. Willis cast out from his town and farm after choosing to try to trap his own meat on the squires land. Thrust into the real world and a harsh work camp, starving, and at times homeless he beings to rely on first his own strength, and later on the small whisperings of his heart. 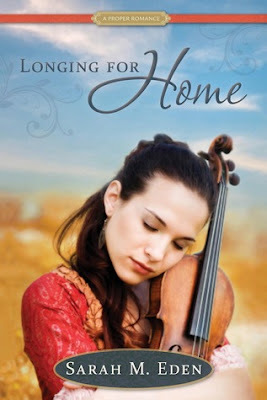 Eventually the reader also experiences what life was for immigrants coming by ship from England to America. I had no idea how long and treacherous the journey was, nor how sick the passengers would become from indigent conditions. Infants were lost, grown men and women grew ill and died. Most make it to America and then take a steam boat up the Mississippi to find Zion. Here again we get a clear picture of what the trip would have been like, the sights, sounds and trails those who traveled would have seen. I was carried there by the rich world building and character development that occurs in the old world. What set it back for me a bit was the present day parallel plot of Will’s descendants trying to make it as a young married couple in Nauvoo. I feel like I just could not connect with either the husband or wife, so at times the storyline dragged for me because I wanted to get back to Will and Liz’s story instead of Jeff and Abby’s. I have already started book 2 in the series, so the answer is, yes, I enjoyed it enough that I’m excited for the next book. It was amazing to see how the timing of this read corresponded to my own family history research of my pioneer ancestors that traveled form England to Zion. The experiences were the same and historically correct! I even found one of my ancestors as an author of a book listed in Mr. Hughe’s references in the back. 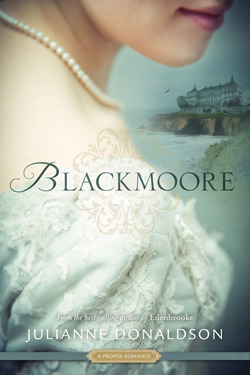 Overall- fascinating, well crafted historical fiction that gives us a good taste of tenant farms in England, immigration to the United Sates, life along the Mississippi and Nauvoo, Illinois. Content: Some intense violence, lots of fist fights and one involving a knife. About the Author: Dean Hughes is the author of more than eighty books for young readers, including the popular sports series Angel Park All-Stars, the Scrappers series, the Nutty series, the widely acclaimed companion novels Family Pose and Team Picture, and Search and Destroy. Soldier Boys was selected for the 2001 New York Public Library Books for the Teen Age list. Dean Hughes and his wife, Kathleen, have three children and six grandchildren. They live in Midway, Utah.